Have you tried listening to podcasts in order to make the most of your money? There are so many entertaining and informative podcasts from which to choose, many of which deal with the subject of money. While the topic of personal finances might not sound like the most exciting thing to listen to, certain podcasts have managed to make it a rather captivating subject. Plus, listening could help you make some smarter choices with your own money, get out of debt or even make more money in the long run. 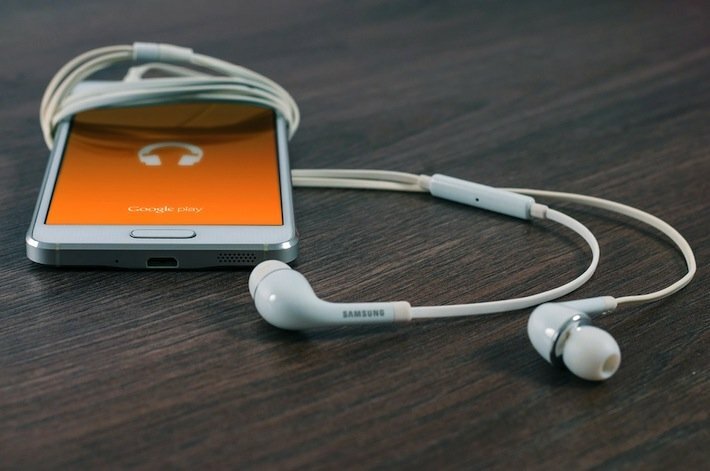 Here are some of the best podcasts about personal finances that you should consider checking out. This NPR segment is considered to be one of the best podcasts about money. Though episodes are generally only 15 to 30 minutes long, the hosts manage to explain some fairly complex aspects of money in clear, concise terms that anyone can follow along with. You’ll learn a lot about economics in general, and it’s easy to browse through past episodes if you’re searching specifically for personal finance topics. Hosted by Gaby Dunn, this podcast is a great choice for those who feel like they really are novices when it comes to personal finance. The entire podcast is approached from the perspective of someone who’s trying to figure it out from scratch, whether it’s how to save for retirement, the costs of having children, using credit cards or paying back student loans. Every episode has a familiar topic that just about any listener can relate to and, more importantly, learn something about. The popular software You Need A Budget (more commonly known as YNAB) has become a huge hit with the frugal set. To supplement their educational tools, YNAB also hosts a podcast to help those trying to figure out how to get out of debt, save money and generally make smart financial decisions. If your life has been changed by using YNAB, or you’re curious about how a budget could improve your finances, you must check out this podcast. The episodes are very short (often under 5 minutes) and often quite inspiring, leaving you newly energized about being frugal. If making more money is your ultimate goal (who’s isn’t? ), be sure to listen to The Side Hustle Show. This podcast is all about entrepreneurs, with many making appearance to give advice and business strategies. This is a great option for those who’d like to try a side gig as well as those who want to one day own their own business outright. You’ll find tons of useful tips and also get insight into unique and interesting industries. Are you trying to downsize all the “stuff” in your life? The temptation to continue to buy new things can really hurt your finances, while getting rid of unwanted stuff can give you a major financial boost. That’s where The Minimalists come in. Joshua Fields Millburn and Ryan Nicodemus are the inspiring hosts who, in addition to the podcast, have created a website, books and a documentary all about the minimalist lifestyle. Their podcast presents helpful and inspiring tips about how to live a meaningful life with less. Shannah Compton Game, a Certified Financial Planner, is the host of this show geared towards Millennials. However, you don’t have to fall into Gen Y to gain some useful tips and tricks from this informative podcast. There are a lot of empowering episodes that make some of the tougher financial milestones feel more within reach, whether it’s paying off student loans, eliminating credit card debt, getting started with investing or buying your first home. Check out this podcast to get expert information and helpful strategies on some of life’s essential financial goals. If you want something with a distinctively entertaining spin on financial issues, check out Listen Money Matters. This podcast is led by hosts Andrew Fiebert and Thomas Frank, who delve into all sorts of personal finance topics with a slightly irreverent and definitely humorous tone. Despite the funny banter, you’ll also hear from actual money experts on many of the topics, which include everything from handling money in a relationship to making money with rental properties to starting your own business. This is a great one for commutes and car rides since the episodes are often 45 to 60 minutes long, and the engaging hosts ensure that you’ll want to listen through the whole thing in one sitting. Are you ready to make your finances a little less daunting? Try listening to some of these podcasts to see if you can learn about some new subjects that previously seemed a little too complex or intimidating. You may be able to make some smart financial choices and see your savings increase as a result of some casual podcast listening.